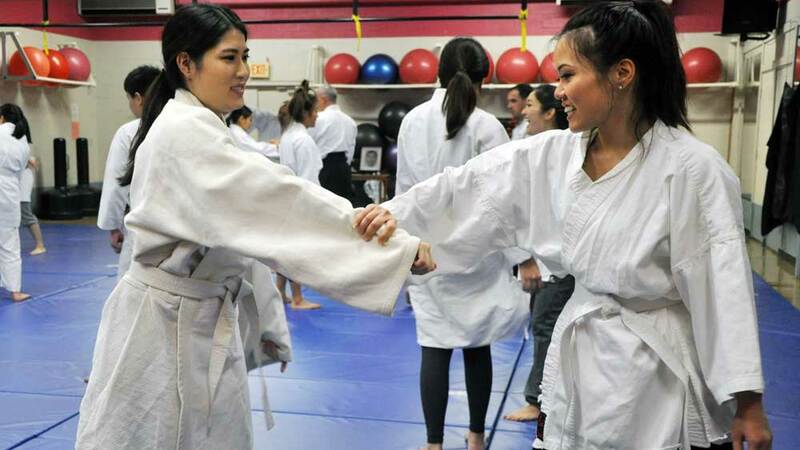 On December 11th 2015, the 64th Cherry Blossom Contestants attended class at the Nuuanu Aikido club as part of their Japanese cultural and heritage training. The Cherry Blossom Festival is organized by the Honolulu Japanese Junior Chamber of Commerce. 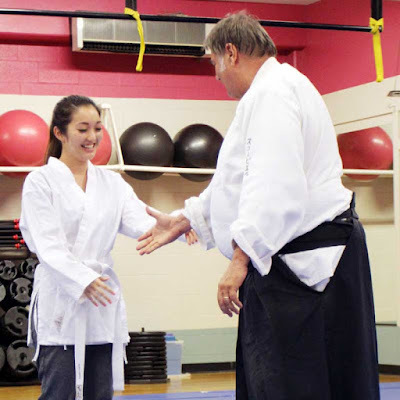 Each contestant is given the opportunity to attend different Japanese cultural classes and experience the rich heritage of Hawaii. 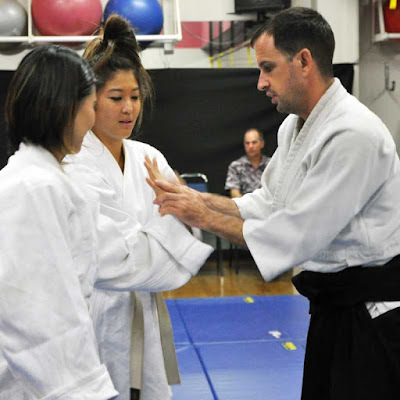 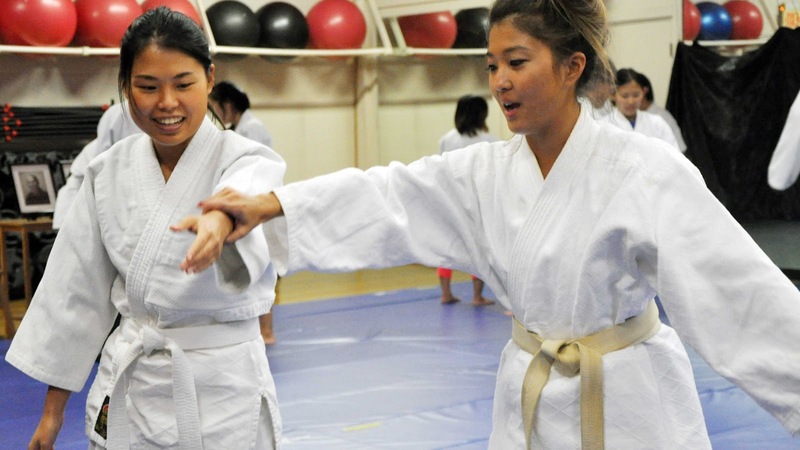 Scoville sensei, head instructor of the Nuuanu Aikido Club, has been sharing the art of Aikido with these young ladies for the last four years. 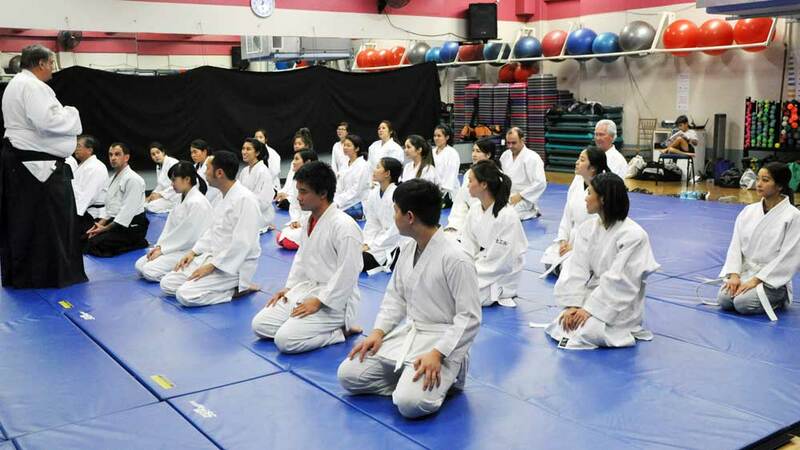 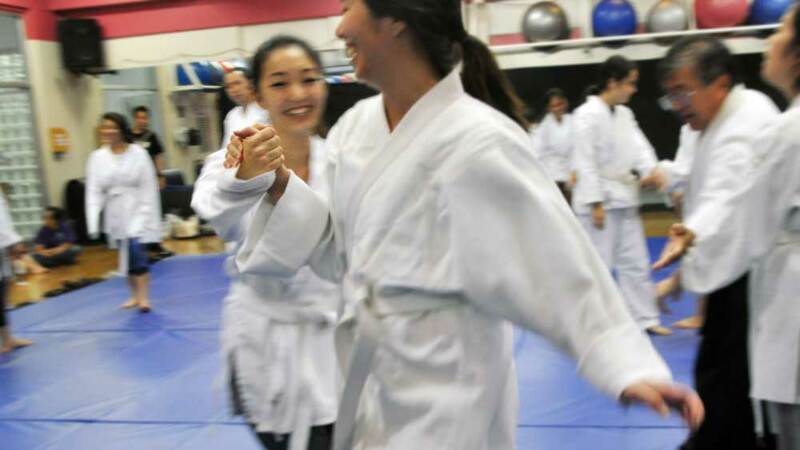 Before class commenced, contestants learned first about the meaning of 'Aikido'. 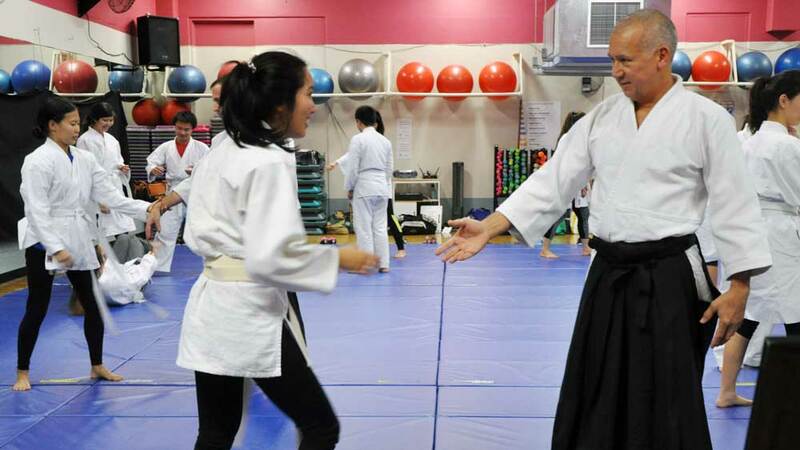 The contestants then moved to the Dojo where the club members assisted them with donning the Dogi (traditional Japanese training uniform) and tying their obi (Belt). Scoville Sensei then led the group through some basic Aikido stretching exercises, designed to limber and strengthen the body for class. 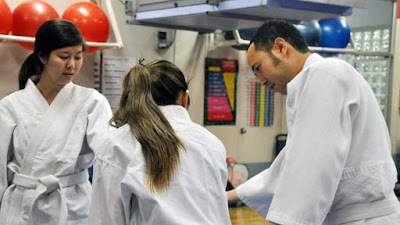 Following the warm ups, contestants were given instructions on rolling under the close supervision of the instructors to ensure their safety. 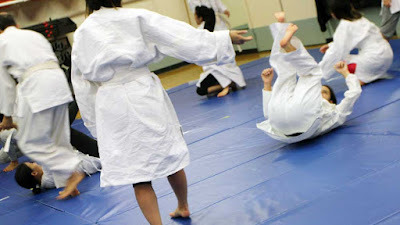 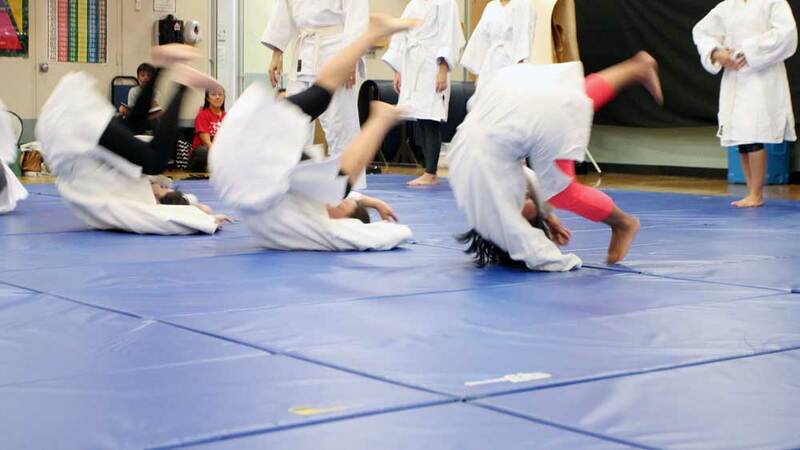 Contestants are then allowed to try rolling on their own. The group then moved into Aikido techniques. 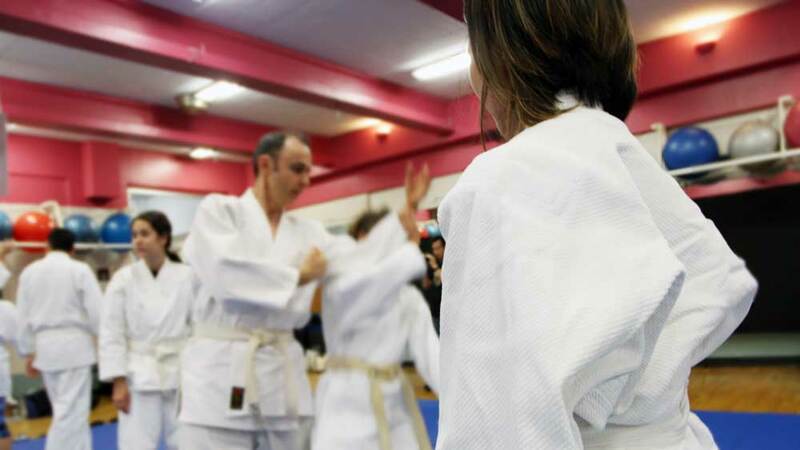 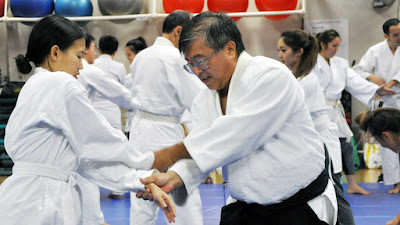 Sensei would explain and demonstrate each technique before the contestants and club members practiced them. 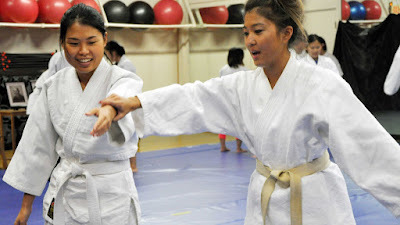 Contestants were exposed to a wide range of techniques- from the basics to the advanced Kotagishi. 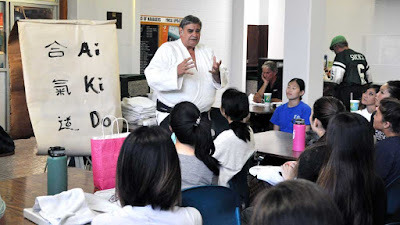 The class began and ended with courtesy as students paid their respects to O'sensei for his dedication pioneering Aikido and to thank Scoville sensei for his work instructing it. 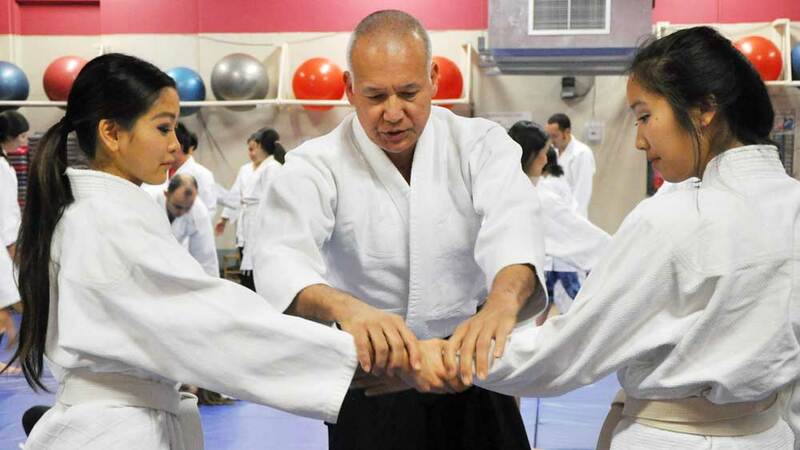 On behalf of Scoville sensei, the Nuuanu Aikido club, and the Hawaii Aikido Federation, we would like to wish all contestants the best of luck in the upcoming competition, gokoun o inorimasu. 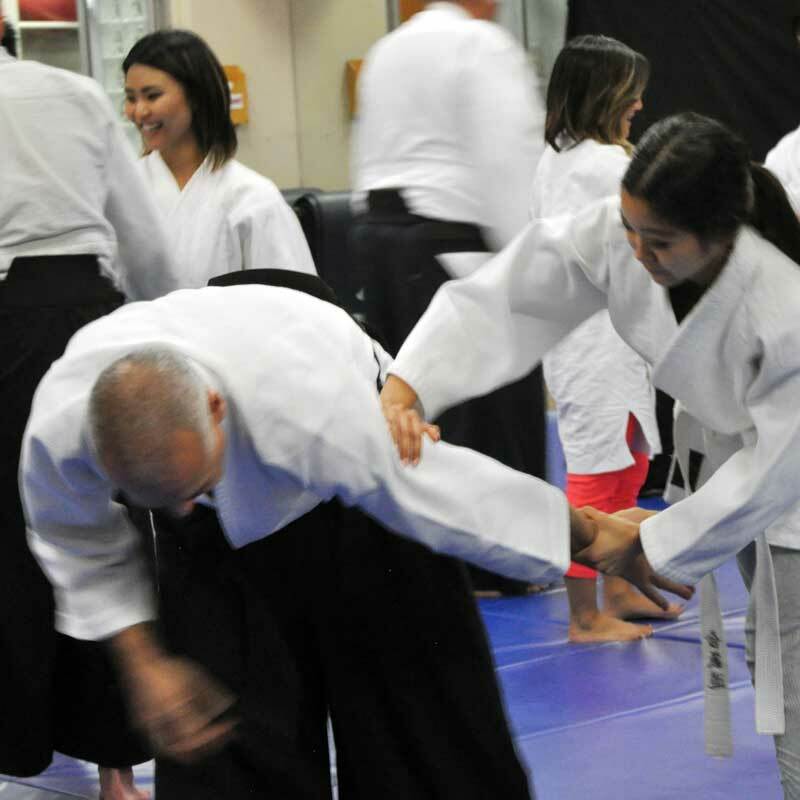 Aikido is the art of peace. It seeks to harmonize with the flow of Universal Energy ('Aiki'), and the self- defense techniques of Aikido are the road ('do') we travel to our destination.